A center for health, healing, wellness, stress reduction and community. Here you will connect to the innate wisdom of your body that is pure and always present. You will learn to nurture that power and use it for healing and wellness—safely, rapidly, with ease and grace. This knowing is present in each of us. We just need to be reacquainted. The practice of medicine is an art, not a trade; a calling, not a business; a calling in which your heart will be exercised equally with your head. Often the best part of your work will have nothing to do with potions and powders. My medical training and work as an emergency physician prepared me to treat symptoms and conditions rather than patients. Over the years, this became more and more incongruous to me. I searched for answers among health practitioners working outside of conventional Western medicine. I became fascinated by the successful healing of some patients, despite their ominous prognoses. What was behind these seemingly “miraculous” cures? After researching, studying and training in various mind-body approaches—such as energy psychology, light-touch acupressure techniques, hypnosis and psychoneuroimmunology —I used this new knowledge to develop a blend of these time-proven modalities to help my clients heal. Key to my approach is the partnership established between me and the person with a problem—together we work to resolve the issue and restore health. See SERVICES AND TECHNIQUES to learn more about my approach. PRIVATE SESSIONS will acquaint you with a typical session. Healing the Power in You shines a light on a new paradigm for health, documenting individuals healing from pain, addiction, illness, and emotional distress—without drugs or invasive treatments. 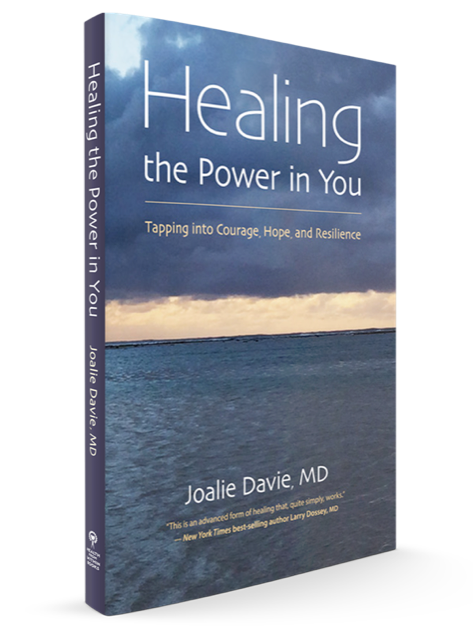 Holistic physician Joalie Davie, MD, explores the nature of healing, helping each patient activate their innate ability to achieve well-being. This book is about factual observations and information that need to be brought into the light for all who seek health in mind, body, and spirit. Conventional medicine effectively treats symptoms of most medical problems. However, sometimes the best of medicine is not enough. It takes insight, wisdom and clarity to get to the root of any problem. At Health From Within, Dr. Joalie Davie’s experience and practice can assist you in reaching your healthiest potential with grace and ease. At Health From Within, Dr. Davie provides you with individualized care to help you experience wholeness and fulfillment in your life.